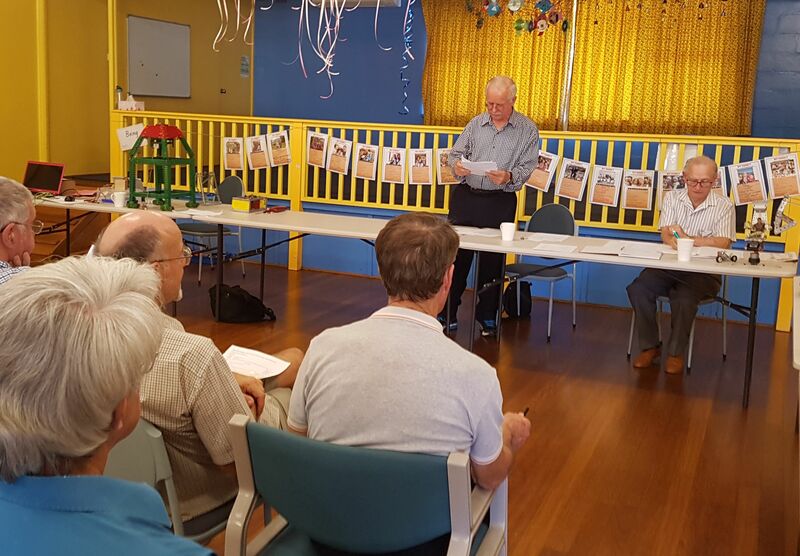 Another successful meeting was held on 30th March 2019. The members in reverent attendance. 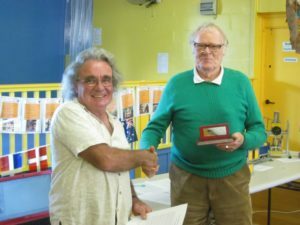 After the nomal business of the AGM, and reappointement of the committe for another 12 months, the all important award of the 2019 Malcolm Booker award went to Garth Spurdle for his many contributions and especially for his outreach to the community. 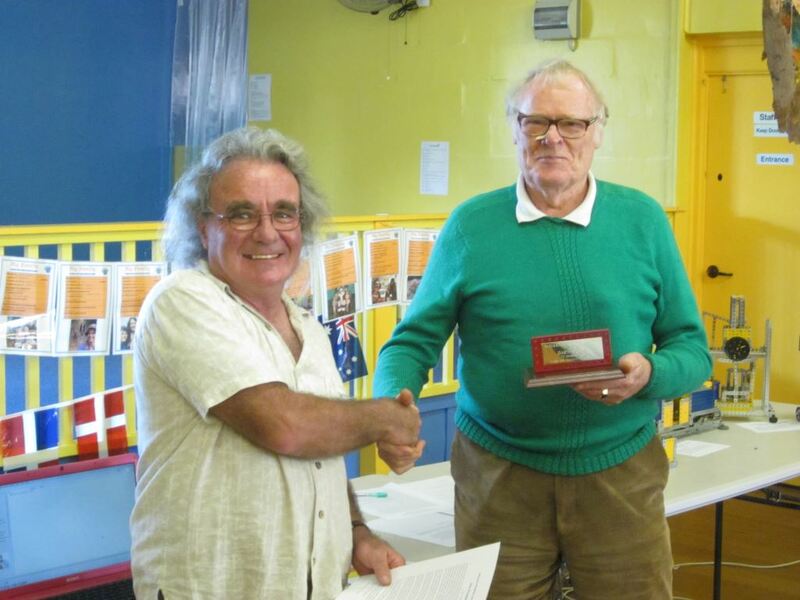 Chris Johnson makes the award to Garth. 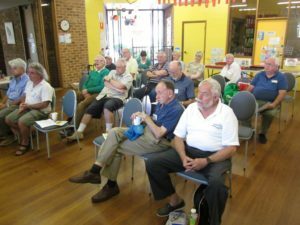 Three volunteers turned out for the Senior’s Day on 21st February. 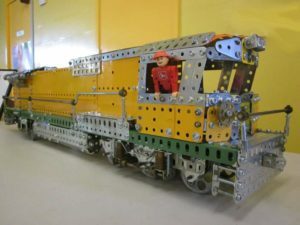 An awful lot of people claim to still have Meccano “somewhere”! 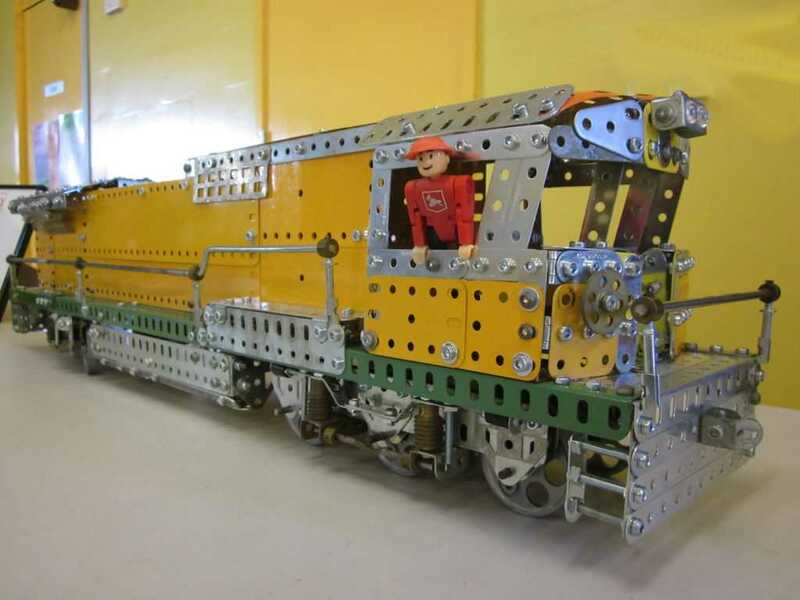 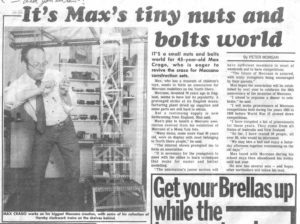 John Burke aka Johnny Meccano has emailed out the February issue of Johnny’s Meccano Magazine. 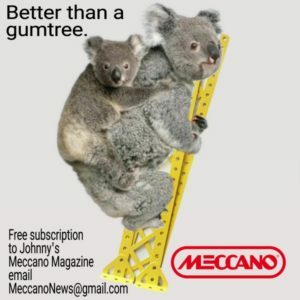 A new Australin Meccano magazine is always welcome, and (in the webmaster’s humble opinion) this one is well worth reading. 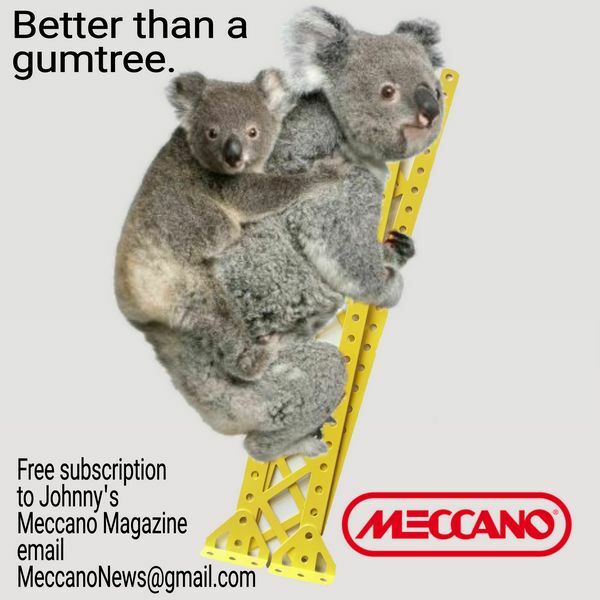 It’s free to subscribe so if you haven’t already got it send an email to MeccanoNews@gmail.com. 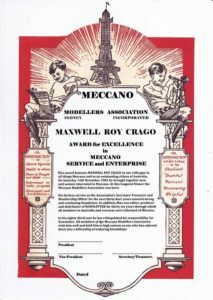 “Models in Miniature” exhibition on 12th, 13th and 14th July 2018. 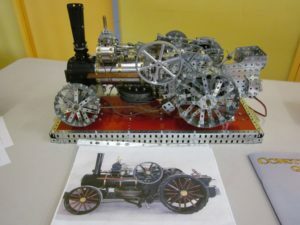 A report by John Thompson appears in the current newsletter and some pictures can be seen here. Uniting Church, Glenbrook. 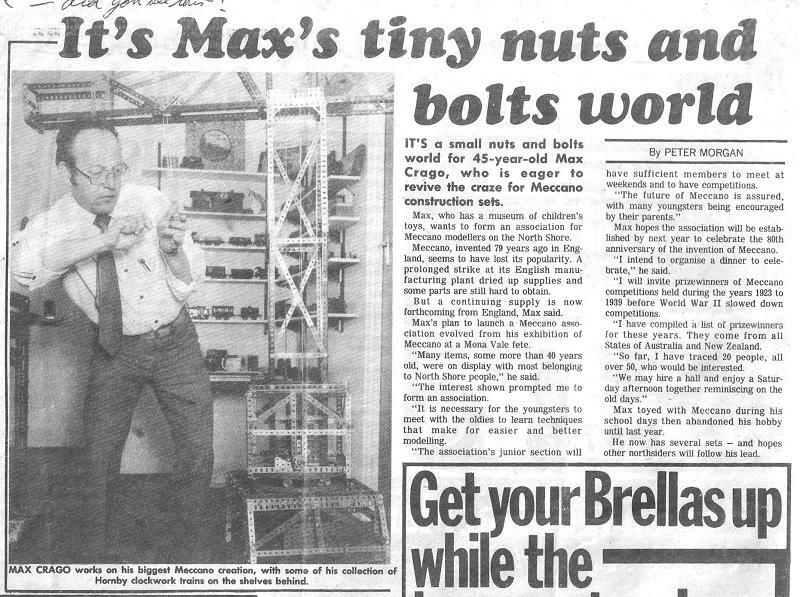 Full details are in the Newsletter, but some images can be found here. 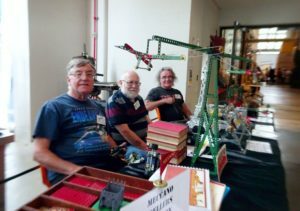 Three members (Murray Tulett, Tom Highes and Lee Squires) brought models to the Museum Discovery Centre for the weekend of 23 June 2018. Some images from the event can be seen here. 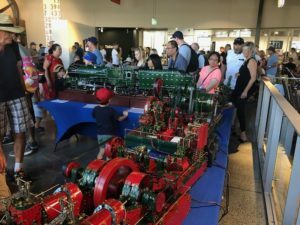 The 37th Annual Exhibition was held on 28th April 2018 and images from the exhibition can be seen here. 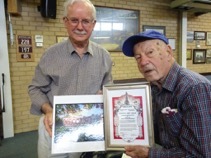 Mount Colah with twenty members present. 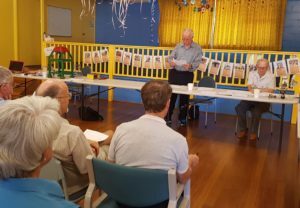 Being an AGM, a large proportion of the time was spent on reports from the varoius officers of the organisation and election of the Committee for 2018. However, there was plenty of time left over for the real business of looking at, and discussing, the many Meccano models members had brought along. 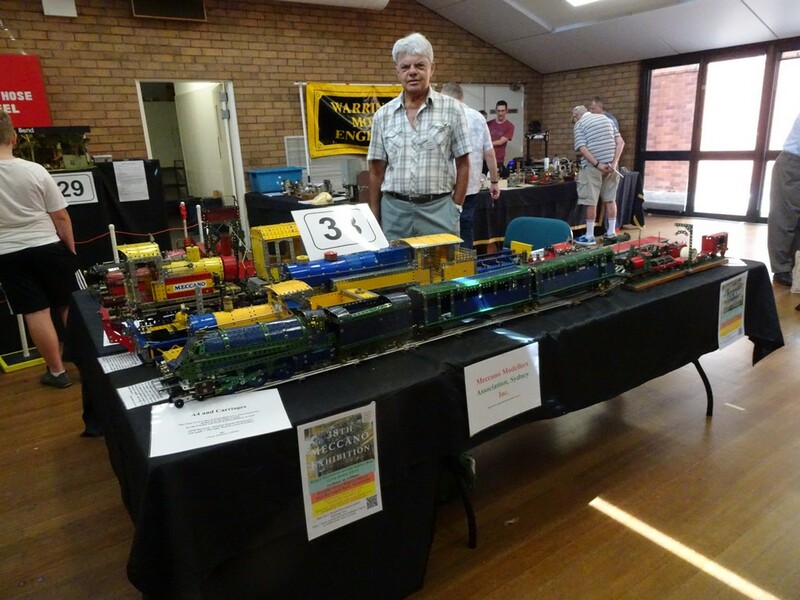 The North Shore Railway Modellers’ Association, Inc had their annual exhibition in Forestville and MMASI attended. 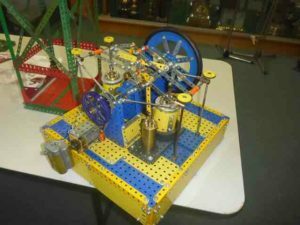 More information and pictures here. A successful meeting was held at Belrose Community Hall with sixteen members present. 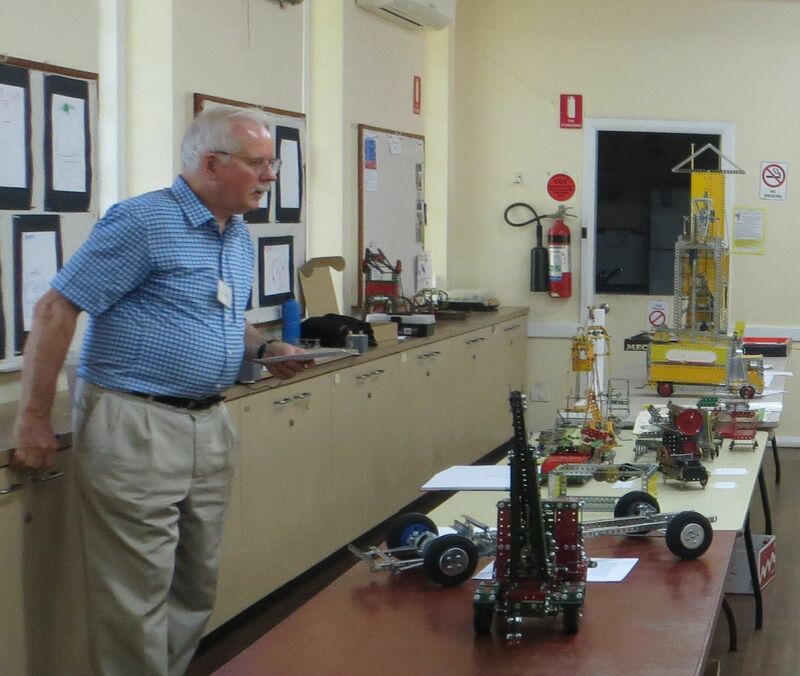 Lee Squires (President) introduces the meeting in front of a selection of models. 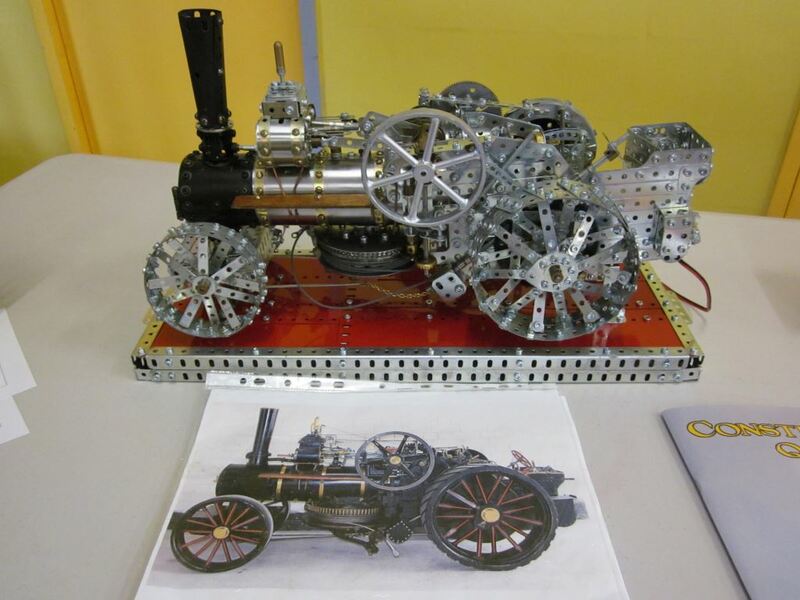 Members attended the open Days at the Museum Discovery Center, Castle Hill on the 18th and 19th November. This was a great success with many young enthusiasts becoming involved. 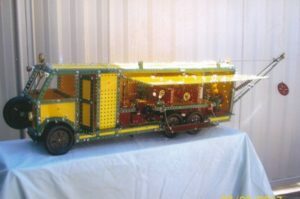 Chris Johnson has provided a description and many pictures here. 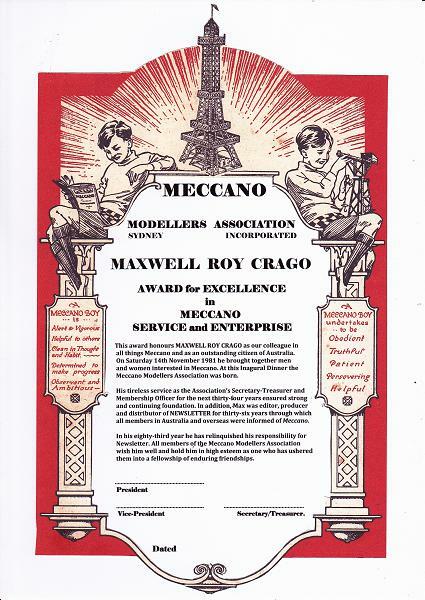 appreciation is presented to Max.